Check Aadhaar Authentication History: Did you know how to check your aadhaar card linked status? Or in simple word, how to know how many places or bank or gas connection or other places like mobile verification etc. Here are the way to check that. A feature on the UIDAI web portal give you a fecilities to to view Authentication details. And you can also, fetch your aadhaar authentication history (Notifications) data. For this you need to know your aadhaar card number and connected mobile number to receive OTP. So, let’s check how to where your Aadhaar Card has been used. The Aadhaar authentication history tool by the UIDAI enables Aadhaar holders to check their authentication history online at any point of time. Wonder what is the way to find out where all your Aadhaar has been used for verification? You can do it online. Unique Identification Authority of India (UIDAI), the government agency mandated to issue Aadhaar cards, allows card holders to check their Aadhaar authentication history on its website (https://uidai.gov.in/). This means that Aadhaar card holders can verify where all their Aadhaar has been used in the past six months. Here’s a step-to-step guide to check where all your Aadhaar card has been used in the last six months. Now enter your 12-digit Aadhaar number in the requisite box on the website, just enter ‘Aadhaar Authentication History’. Follow this with the 4-digit security code given in the box. 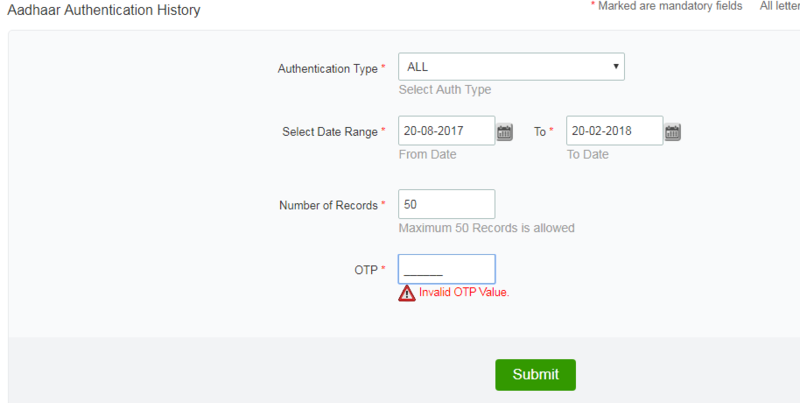 The page that opens will ask require the following details: Authentication Type; Select Date Range; Number of Records; and OTP. Click on ‘Select Date Range’, choose the option given on the page. You can select maximum up to 6 months. Aadhaar authentication means the process wherein Aadhaar number, along with other details including biometrics, are submitted to the Central Identities Data Repository (CIDR) for verification, the UIDAI website noted. This aadhar verification takes place on the basis of information or data or documents available with the CIDR, the UIDAI adds. UIDAI provides an online service to support this process. Aadhaar authentication service only responds with a “yes/no” and no personal identity information is returned as part of the response, according to the UIDAI.